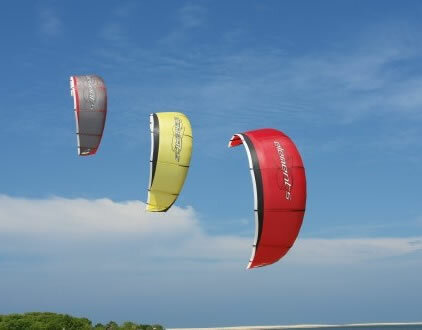 The main spot for kite surfing in Sri Lanka is in Negombo. One of the factors for this are the nearby factories of NORTH KITEBOARDING, FAITH KITEBOARDING or and CARVED. Here we have perfect wind conditions for kite boarding. Especially in the months January – March when the NW trade winds will provide the necessary power. The shore break is nothing to write home about, so ideal for beginners, too. Over a length of 5 km, the beach of Negombo is wide enough for take off and landing. A highlight is the downwinder from Nainamadana to Negombo. You can start directly in front of the Kumudu Valley Resort or the Dolphin Hotel and kite 8km along the coast to Negombo. A dream! We do organize kite trips to Kalpitiya (60 miles), which appeals to all advanced or professional kiters due to the high wind conditions.